The most common type of paranasal sinus and nasal cavity cancer is squamous cell carcinoma. 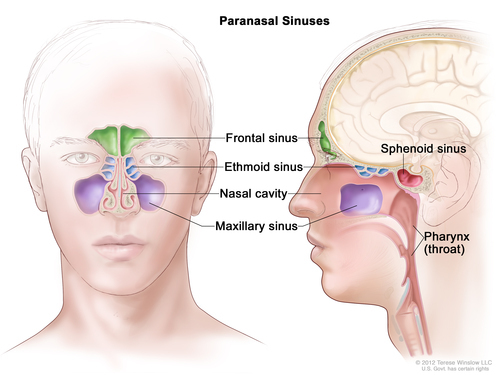 This type of cancer forms in the thin, flat cells lining the inside of the paranasal sinuses and the nasal cavity. Incisional biopsy: The removal of part of an area of tissue that doesn’t look normal. Excisional biopsy: The removal of an entire area of tissue that doesn’t look normal.